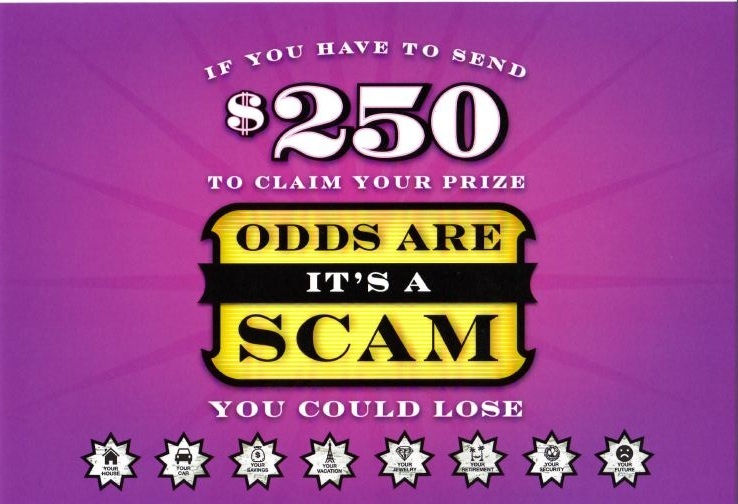 The “Jamaican lottery scam,” also known as advanced-fee fraud, is made up of scam artists that trick people, mostly senior citizens, out of their money with a false notification of a lottery winning, inheritance or Publisher Clearing House sweepstakes prize. 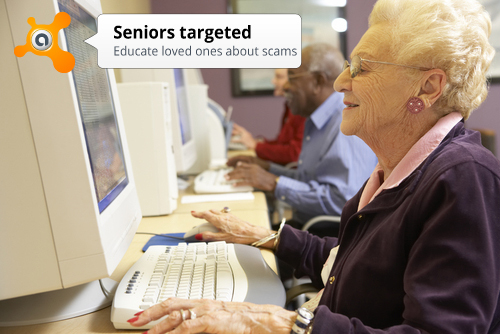 In these "granny scams", the fraudsters convince the victim to send money in order to secure their winnings. A 79-year-old woman from Maryland received a phone call announcing that she had won sweepstakes money during a time when she was struggling to pay her family’s hospital bills. Over seven months, she was scammed out of $30,000. An 80-year-old man from an affluent neighborhood in a suburb of Detroit, Michigan got caught up in a scam and it cost him $48,000 before he realized he was being played. The con started with a letter stating, "You've won $ 2.5 million and a brand new Mercedes Benz.” The catch was he needed to send cash up front to collect the winnings. Police say that the scammers contacted the man every day and he repeatedly sent money cards that were transferred into cash. A woman in Colorado received a message that she won a high value lottery from a person pretending to be her Facebook friend. The fake friend told Michelle Harlow that she won $90,000 dollars and that Harlow was qualified to get the same prize. Harlow said a red flag went up in her mind when the person asked for a $500 money order. Older Americans lose $2.9 billion a year to fraud, according to a 2011 study by the National Committee for the Prevention of Elder Abuse and the Center for Gerontology at Virginia Tech. Most victims are between 80 and 89, and most are women. Jamaica’s Ambassador to the U.S., wrote a piece in the Huffington Post last week about the Jamaican government’s new legislation to fight lottery scammers targeting U.S. seniors. The Justice Ministry crafted a bill targeting advanced-fee fraud, identity theft, and dishonest use of technology for accessing financial accounts that could result in 20-year prison sentences in some cases. In the U.S., add your name and phone number to the National Do Not Call Registry by calling 1-888-382-1222. This will greatly reduce the number of telemarketing and other unwanted calls you receive. Educate your older relatives to the threat now. Plan how you will deal with these issues to protect them in the future. 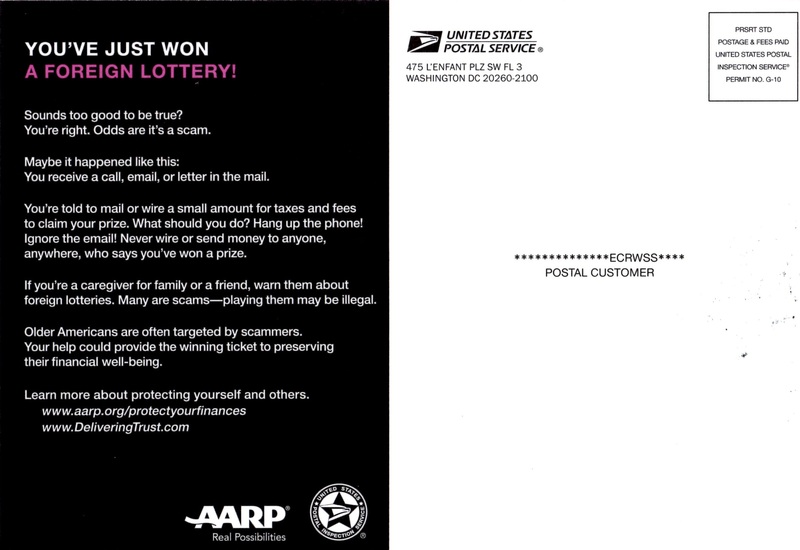 To learn more about scams against the elderly visit http://www.deliveringtrust.com/, a service from the United States Postal Inspection Service.